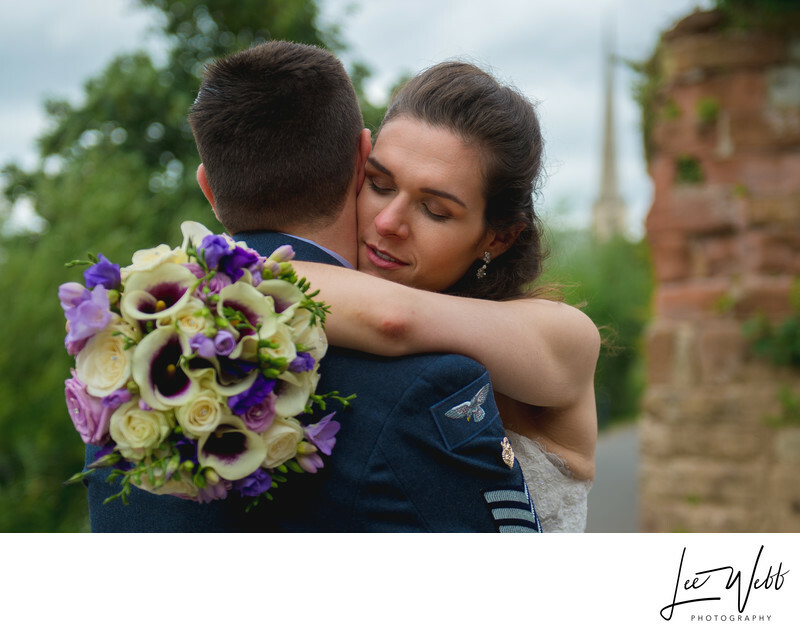 Beccy and Karl got married on a gorgeous July day, having their wedding at St Georges Church and their wedding reception at Worcester Guildhall. St Georges Church is Worcester has a long drive to the gates, leaving only a short walk to the front doors of the church. 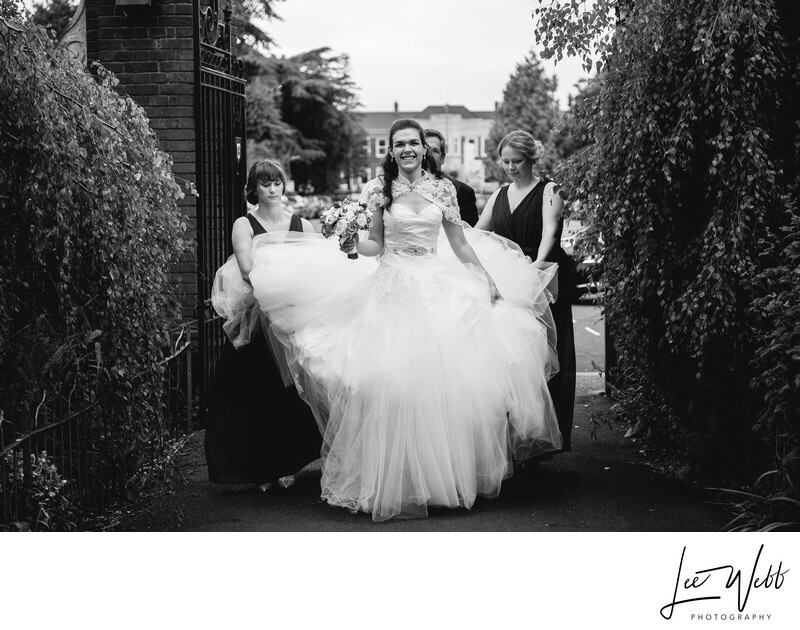 Beccy chose an absolutely stunning wedding dress, with a wide and flowing A-line train. The dress was so wide at the base that Beccy's bridesmaids had to help her through the gates to the church when she arrived. I really love the look on the faces of the people in this image - how the bridesmaids are both concentrating hard, but the look on Beccy's face is that of sheer excitement. After the wedding at St Georges Church, the wedding gusts moved on to a drinks reception at Worcester Guildhall. During the drinks reception, the main wedding party and myself made our way to Worcester Cathedral for some photos. 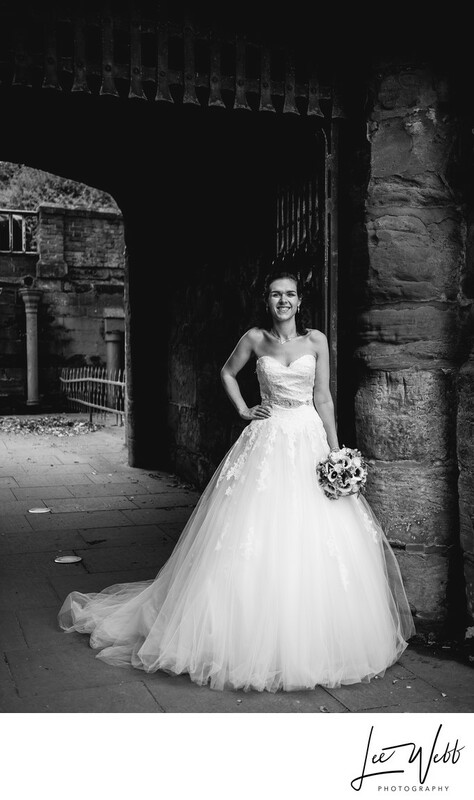 The formal wedding photos were taken in the grounds of the cathedral, with the photos of the couples being taken both at Worcester Cathedral, as well as beside the river that runs through the centre of Worcester. To take a look at Beccy and Karl's wedding album design, click here. Location: St Georges Square, Worcester WR1 1HX.